Dr. Rebecca Maynard is a leading expert in the design and conduct of randomized controlled trials in the areas of education and social policy. She has conducted influential methodological research, including co-developing PowerUP! to support efficient sample designs for causal inference studies, and she has been influential in advancing the development and application of research synthesis methods. For 12 years, Dr. Maynard was the director of the University of Pennsylvania’s Predoctoral Training Program in Interdisciplinary Methods for Field-based Education Research. Previously, she served as commissioner of the National Center for Education Evaluation and Regional Assistance at the Institute of Education Sciences (IES). In this role, she oversaw the Institute’s evaluation initiatives, the What Works Clearinghouse, the Regional Education Laboratories, and the National Library of Education (including ERIC). 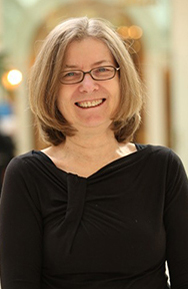 Prior to joining the University of Pennsylvania, she was senior VP at Mathematica Policy Research, Inc.
Dr. Maynard has a varied portfolio of research projects, including serving on the leadership team for the What Works Clearinghouse Reviews, Reporting, Dissemination and Development project and as co-PI for an IES-funded project of the Society for Research on Educational Effectiveness to develop a Registry of Causal Inference Research in Education. Dr. Maynard also is co-investigator for the Center for Research Use in Education, as well as for two studies of Year Up’s Professional Training Corps programs—one funded by GreenLight Fund (Philadelphia) that is specific to Year Up’s partnership program with Peirce College and the other an IES-funded development project that encompasses Year Up’s nationwide network of Professional Training Corps Programs. Dr. Maynard is president of the Society for Research on Educational Effectiveness, a member of the Society for Research Synthesis Methodology, a fellow of the American Educational Research Association, and a member of the Journal of Educational and Behavioral Statistics management committee. She is past president of the Association for Public Policy Analysis and Management (APPAM) and methods editor for both the Journal of Policy Analysis and Management and the Journal of Research on Educational Effectiveness. She has received APPAM’s Peter H. Rossi Award for Contributions to the Theory and Practice of Program Evaluation (2009), the Society for Prevention Research Public Service Award (2008; co-recipient), and the Best Book Award from the Society for Research on Adolescence (1998).